*There is a built in chamois for comfort, wash before use. Explore your home hills or travel to distant destinations with the comfort and performance of the Icebreaker Men's Escape Shorts. These crisp, clean shorts are sewn from a merino/cotton blend and are fit for afternoons hiking high trails or sitting at sleepy sidewalk cafes. 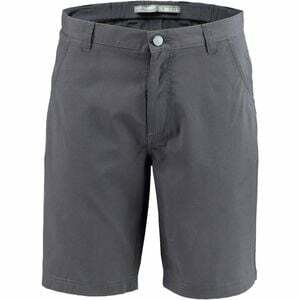 And their rugged, reliable construction, along with the naturally antimicrobial properties of merino, will keep them intact and fresh longer than any comparable all-cotton or synthetic shorts. Get out and Escape.